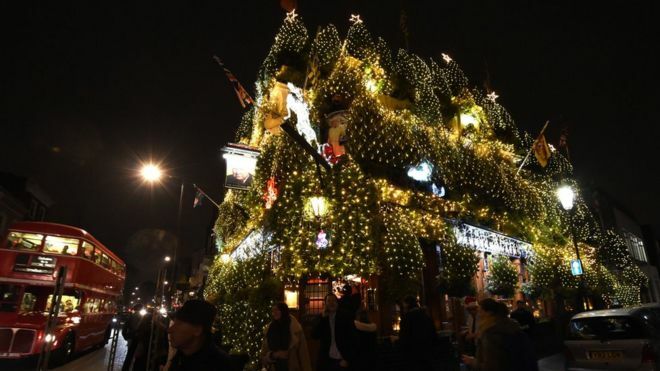 A pub's Christmas display has proved a hit on social media with some dubbing it "Britain's most festive pub". 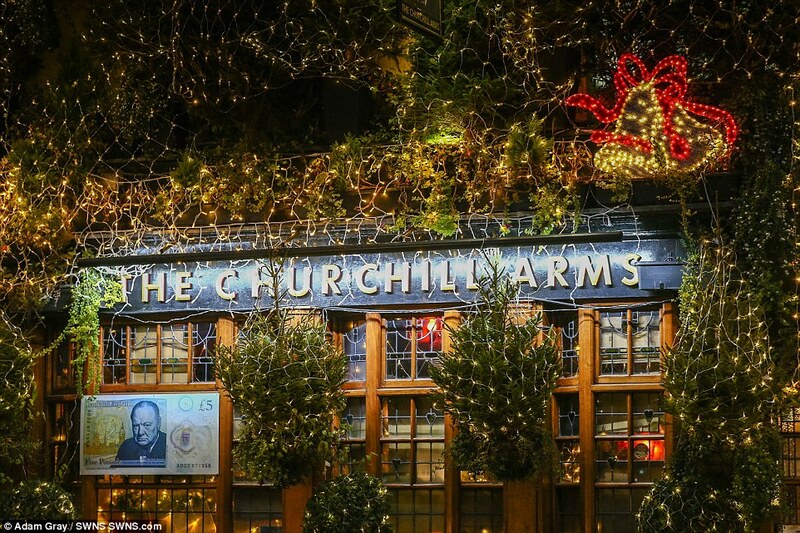 The Churchill Arms in Notting Hill, London, has been decorated with more than 20,000 lights and 90 trees inside and out. The decorating took a dedicated team about a week and a half to complete and is still yet to be finished. 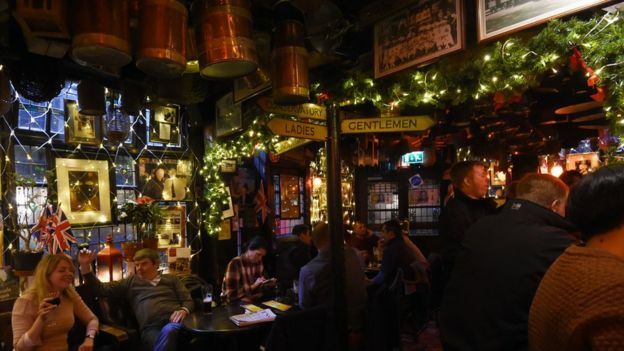 Landlord Gerry O'Brien has made lavish festive displays a tradition at the pub for more than 30 years. Twitter users have been expressing their opinions of the pub. 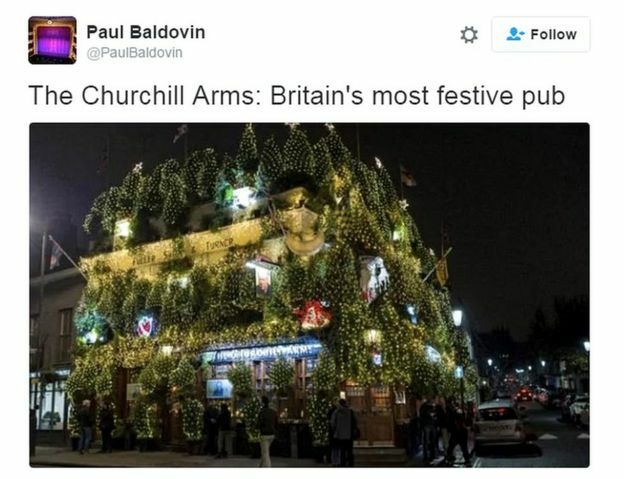 One called @PaulBaldovin tweeted: "The Churchill Arms: Britain's most festive pub." 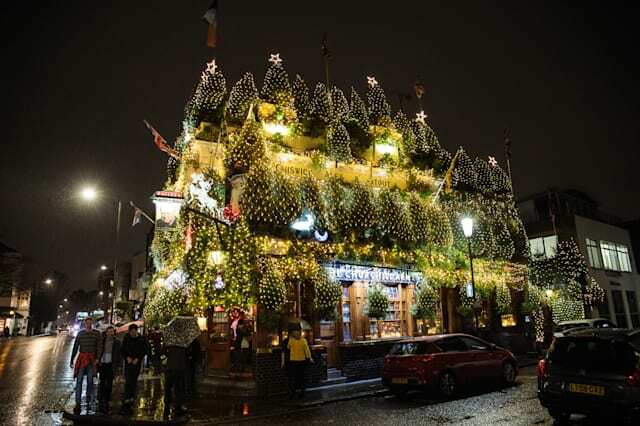 Another, @RichardABLS, tweeted he'd "found the most festive pub in London UK". 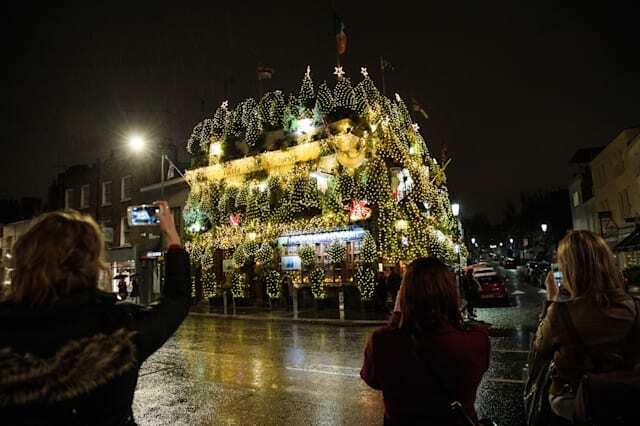 Mr O'Brien said: "We want to make the lights look better every year and it really does make a striking impression." 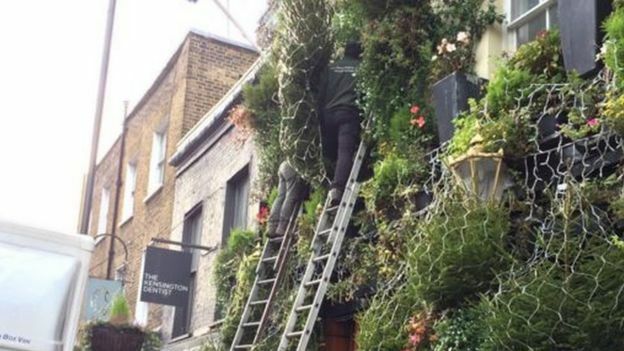 The decorations will be left up until mid-January when the baskets of flowers that usually cover its exterior will be returned.